Today’s question– Blog Widgets. Do you use them? Do you have them on your blog? Do you know what I’m talking about? :-) A blog widget is that list of books “From my LibraryThing” and such, that you’ll sometimes see on someone’s sidebar. If you use it, do all of your books show up or do you have it set to only show certain books? Do you have a search widget, which would allow your blog readers to search your library? Have you ever made a photomosaic of your book covers? You can find widgets and photomosaic information on the “Tools” tab in LibraryThing. Today’s Answer – I don’t know of many, but I do have a blog that I used the “from my LibraryThing” widget, but I don’t think it ever made it to this blog. Interesting. I see that one specifically on a lot of blogs, or one similiar to it from those people who use other book categorizing websites. I don’t have a search engine, but maybe I’ll look into that one. I have such a basic blog that I haven’t taken a whole lot of time in figuring some things out. It’s a work in progress. 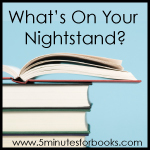 It’s my second time joining 5 Minutes for Books in the What’s on Your Nightstand carnival. Last month I had read 24 books, but this month has been a little slower. I have only read 19 pieces of work, including two plays. I managed to get through most of my anticipated reading, with the exception of one book. Being that I have a challenge that ends on December 20, my focus has been on trying to complete as much of this as possible. I’m hoping to get in The Secret and Stiff before this deadline, which still leaves me with 4 more books for that challenge. I don’t think I will be finishing this one. Then through the rest of December I hope to read Deck the Halls, The Year of Yes, Secrets of the Morning, and Cat and Mouse, hopefully leading me into the first of the year with all new challenges ahead of me. Here’s to more productive reading. And the challenges keep coming. Similar to the 2nds Challenge. Read 12 YA books. More rules and info here. And yet another one. All the rules and instructions are here. I’ll have 2nd in Series books and 2nd book I’ve read by an author. The sequal to When the Wind Blows, and it starts off with a bang. Frannie and Kit are waiting to find out if they will received custody of the extraordinary children, but while they’re trying to move on with their lives past heartache, someone else is creating a place much worse than the school – The Hospital. It was a great conclusion to the adventure, even up until the very last page of the book, where you are unsure what is really going to happen. 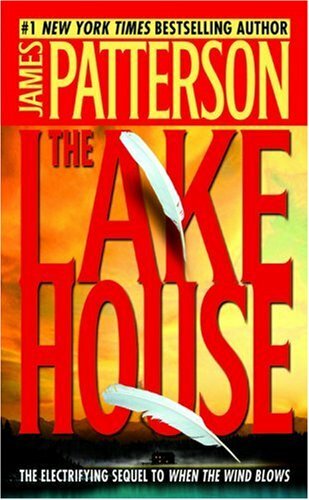 I’m interested to see where the Maximum Ride series comes in and how they take off from end of this story. Unless, it’s about the kids adventures before they meet Frannie and Kit. Overall, a very good book, doesn’t necessarily need to accompanied with When the Wind Blows. I decided to jump on the Tuesday Thingers bandwagon since I am a user of LibraryThing. As you can see, I’ve only read one of the books on the list, but I’ve heard of most of them and will most likely end up getting to them eventually. After looking through past Tuesday Thingers, I found I wanted to answer most of the recent ones, so follow the break to see what I had to say about them. Now, “Romance” isn’t limited to steamy Harlequin novels. There is a huge selection of books in this category such as contemporary romance, historical romance, romantic suspense and paranormal romance to name a few. As long as the story has romantic love between the two main characters your selection will fit this challenge. The novels do not need to have a happy ending either, there can also be unrequited love. 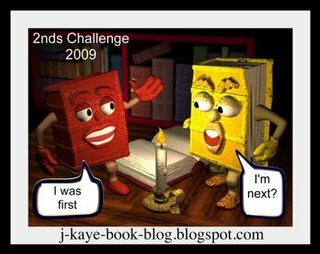 Choose at least 5 novels read them between Jan 1st though Dec 31st 2009. You can change your choices at any time. Crossovers between other challenges are fine. 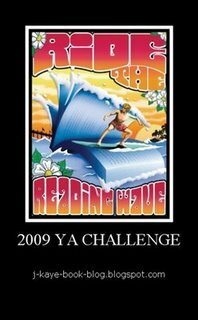 Read them at your own pace in 2009 then come here and post the link to your review(s). I haven’t officially decided what to read yet, but I’m thinking of adding a book-to-movie theme along with it just so I can read a wide variety.